Ballet Shoes & Tap Shoes. Hair in a neat Bun or pony (Headband optional). Ballet Shoes & Pointe shoes (if required). Hair in a neat Bun (Headband optional). 3XT demi top or singlet or black leotard with 3XT leggings – Bare feet – Hair in a neat pony. 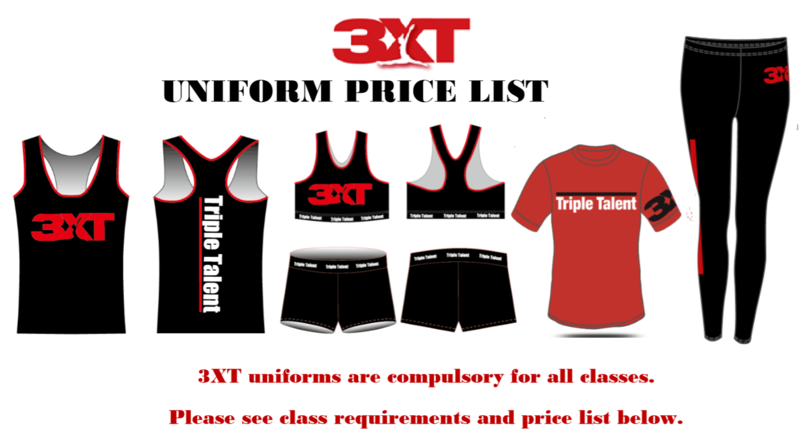 Any mix of the 3XT uniform– Black ¾ or long baggy pants or basketball shorts. 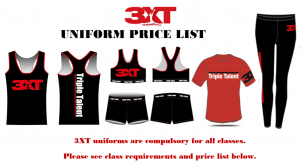 3XT uniforms will be compulsory for all classes. Please see class requirements and price list below.